In light of the recent AT11 Contest, I felt compelled to add the latest installment of the Golden Eye for the Adonis Guy series. Although, you may be familiar with the phrase, “The Numbers Don’t Lie,” there is another quote that states, “Statistics are No Substitute for Judgment.” In the AT11 Contest, the numbers told the truth for the majority of the contestants, however as the last quote stated, mere facts alone were not a substitute for “Visual Assessment.” How you present yourself on camera with both confidence and proper posing is critical to balancing the equation. Michael’s AT11 Results truly demonstrate how to marry the numbers to your picture! 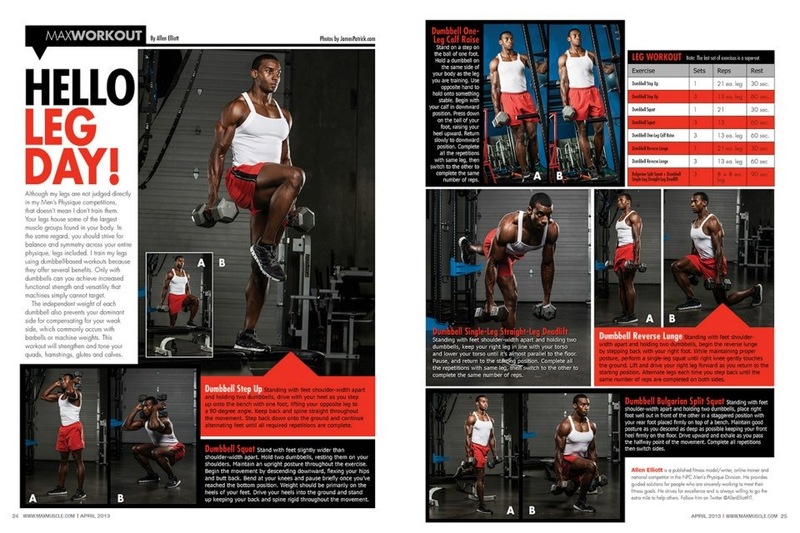 In conclusion, your numbers are helpful metrics to keep you guided in a logical 12-week transformation process. However, a “Visual Assessment” should marry to your numbers and help to root the emotions of how you actually look, with the logic of what your measurements are telling you. Ways to improve upon your “Visual Assessment” is to take progress pics and practice posing which in return build confidence. Stay Tuned for Monday’s Post as we’ll be revealing a “Special Awards” category to the AT11 Contest! Today’s post is the latest installment of the Golden Eye for the Adonis Guy series. I had the opportunity to chat with John Barban and during a recorded podcast session we discussed the “Lessons Learned” from my association with the fitness modeling industry. As we approach the mid-year point of 2013, John and I were able to discuss some of this year’s highlights as well as my future goals and plans. Is consequence the result of choice? 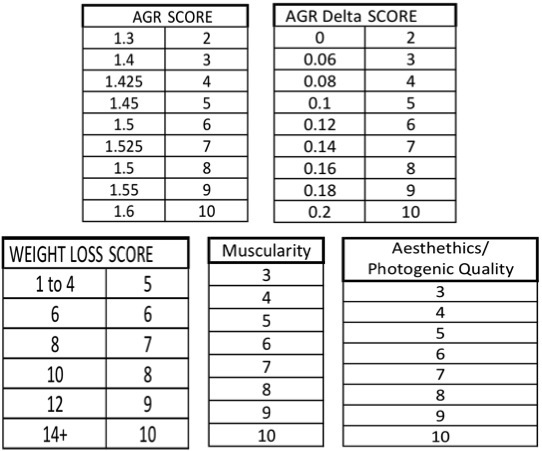 To bring the newer members of the Adonis Golden Ratio community up to speed, this blog post is also the latest installment in the Golden Eye for the Adonis Guy series. In which several topics are discussed regarding my experiences, observations and “lessons learned” from fitness/fashion shows and my association with the fitness modeling industry. The Golden insight I’m privileged to share with you comes from the results of applying the “Adonis Golden Ratio” workouts & philosophy to my personal goals/endeavors. competition. Out of the 600+ contest entries, the top 10 male and top 10 female competitors were selected to compete in a “Live” competition on June 8th at the Century Link Arena in Boise, Idaho. The opportunity to compete in a “National-Level” Competition such as this was a great honor to me as I was the only Military member for the male division. 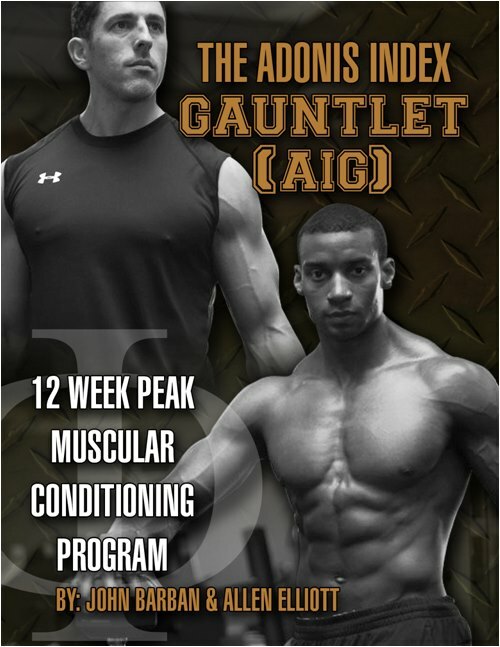 Having trained exclusively with the Adonis Golden Ratio system for more than three years, I’m extremely confident that AGR can serve as a road map to achieve your fitness goals and so much more. My confirmation in this belief originates back to the very origins of my fitness journey. Growing up I played sports with a particular interest in wrestling. I found wrestling to be challenging both physically and mentally. A unique requirement of the sport was that of weight management; in order to compete, I had to make weight before each match. This taught me valuable life-long lessons of both discipline and accountability. Discipline was needed to properly prepare for a match and I learned what it meant to be accountable because my coaches’ and teammates depended on me to make the weigh-in. Now serving as a military officer, I subscribe to the Air Force Core Values which are: Integrity First, Service Before Self, and Excellence in all we do. I’m grateful for the lessons learned from wrestling and the military because I’ve been able to apply those same skill sets toward my fitness model endeavors. 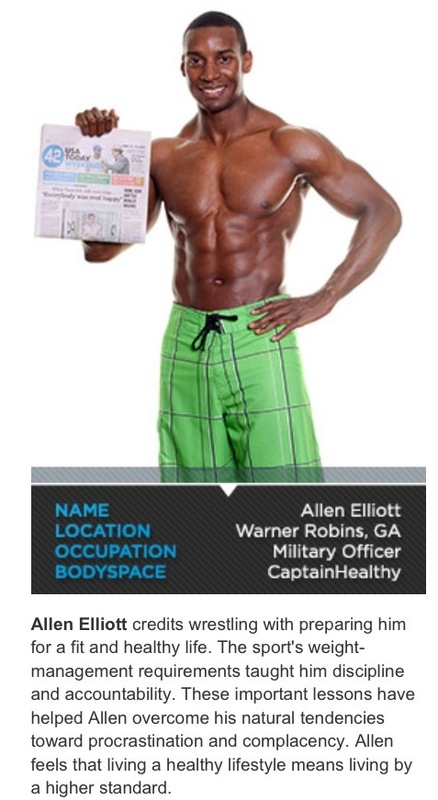 The ability to view my “Physique as a Business” was first presented to me by the AGR system. 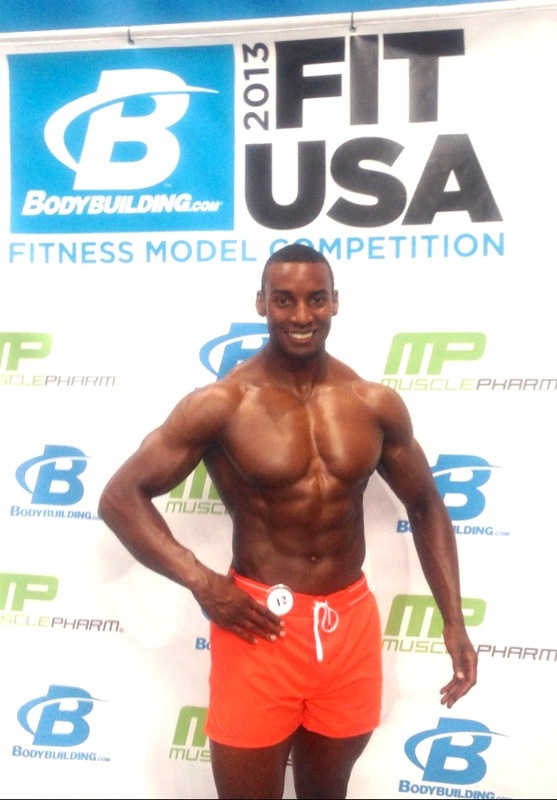 Upon this discovery I’m grateful to have had the opportunity to compete in Men’s Physique Fitness Competitions, graced the runway in several prominent fashion shows, and have published work as a fitness model. This success adds further confirmation to the fact that, “The Sky is the Limit” when it comes to applying the AGR system. 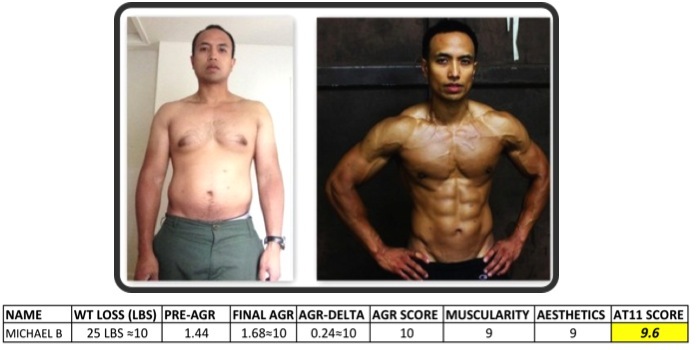 As ” The Golden Army” continues to grow by leaps and bounds I’d like to encourage the members, especially the newer one’s participating in the Adonis Transformation Contest (AT11) to remember that consistency and effort are the little things that when done on a regular basis make for the greatest transformation in a relatively short amount of time. I highly encourage you to listen, study, and learn from other successful members of AGR Community. 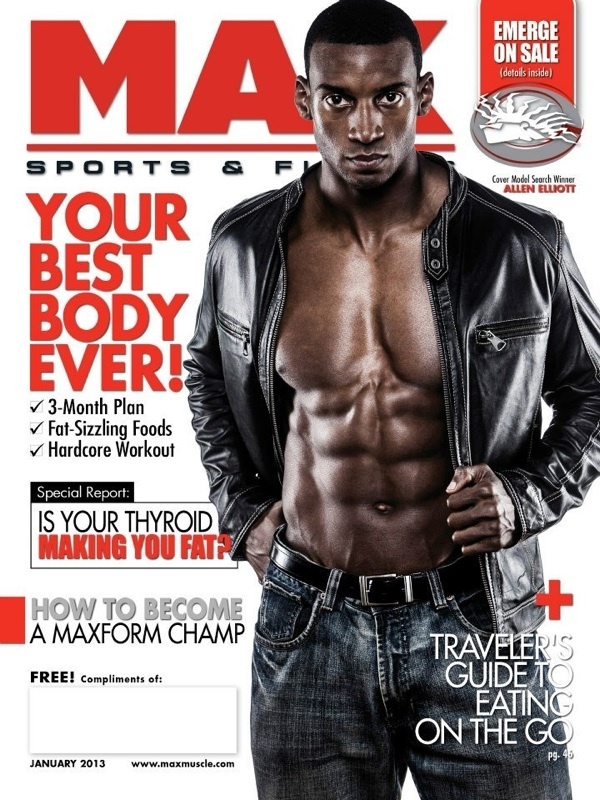 In conclusion, my final request is if my “Adonis Lifestyle” story or posts have inspired you to pursue your own fitness goals, I’d be delighted to have your vote for the People’s Choice Award of my upcoming competition 2013 FIT USA Fitness Model Competition. Ridiculous… at least that’s what I thought. You’re about to here the story of how I was almost bamboozled into doing a “test” for a soap opera… all from the power of the Adonis Effect. You see, John and I were at a business seminar about 2 months ago. We finished up with the seminar stuff and happily strolled down to the bar to get a drink (or what ended up being 2 bottles of Dom P). When we got there, we plopped down at the bar, ordered a few beers, and started talking shop. Then, out of nowhere, I noticed a well dressed older lady. As she was talking on her cell phone… I overheard someone singing “Happy Birthday” to her. Now, if you know me… all I need is a “little bitty” reason to have a good time in any environment. So, when our new friend got off the phone, I chatted her up, wished her a happy birthday and got her a drink. The funny thing is… come to find out that this lady was a talent evaluator/trainer for a lot of TV shows… and she herself had been on one of the soaps for a few years as well. 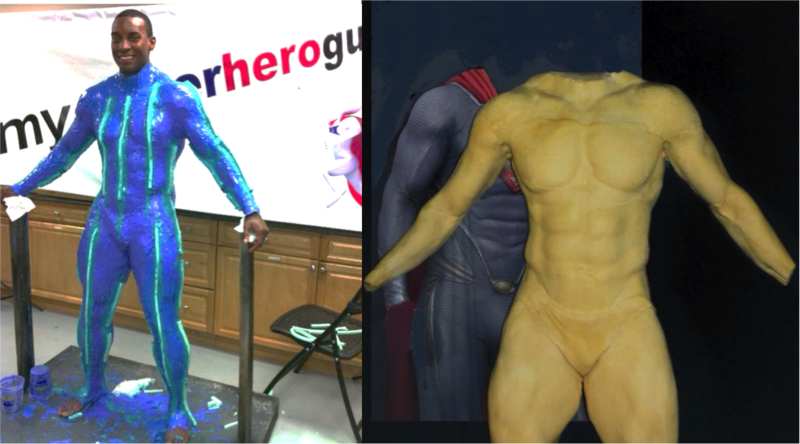 I’ll be honest, that was a little weird for me… especially since I’m not quite “perfect” yet (but almost there). I run to the bathroom and as I’m relieving myself… my phone rings. It’s her, she’s already at the bar. So, I zip up and bolt out of the bathroom and come up with another plan… let’s just have a mini party in the bar. Now, if you’ve never send someone “Bill Clinton” a room, you might not be able to visualize this… but like a sandstorm… I went from person to person and invited them to come over and wish our new friend a “Happy Birthday” (and network with some pretty high rollers that I had already invited over). … that she sprung for 2 bottles of Dom P.
Ha, ha… here I am trying to avoid the spotlight and let our friend have her moment in the sun… when… like a electromagnet… she kept pulling me back into the spotlight. Needless to say, John and I met a lot of great people that night and there are a few that’s we’ll do business with. It’s your TOTAL PACKAGE that gets you results. In this scenario, my body and my social status boosting networking ability plus my focus on giving to the situation set us up for a fun night. 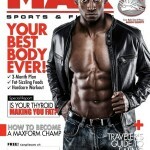 So, there you go… just one more true story of how the Adonis Effect can help you succeed socially and financially.